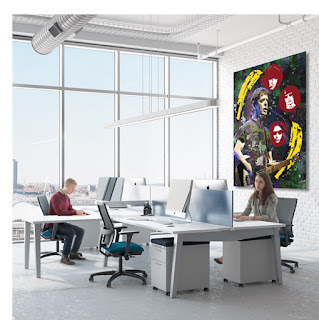 Office interior with mounted metal print of "Lou Reed." 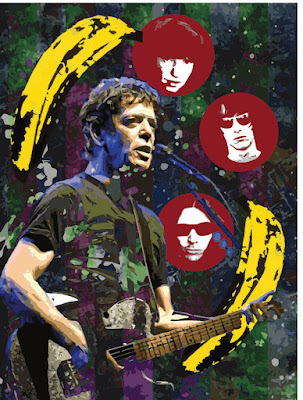 The Velvet Underground was formed in New York City in 1964 and ended its run in 1973. During its existence, the group achieved little commercial success, but has since been recognized as among the most influential acts of the rock era for its integration of rock music with the avant-garde. 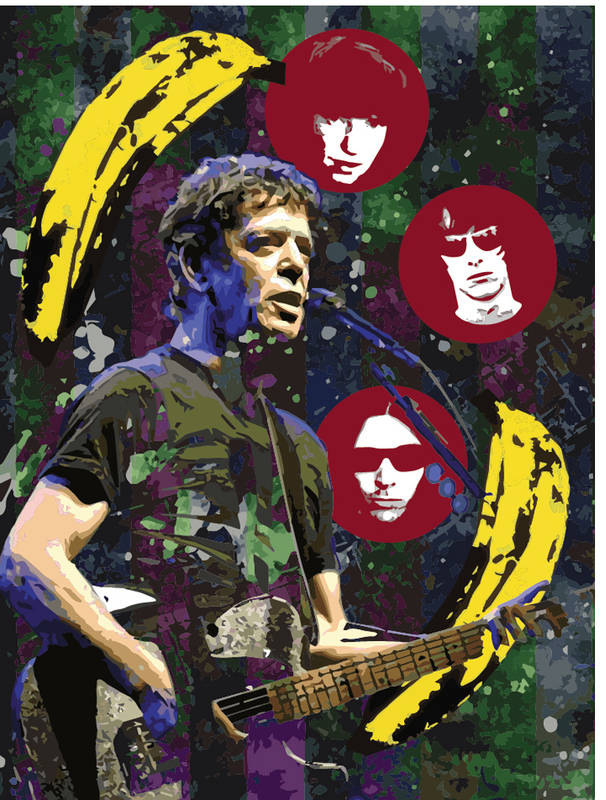 The principal songwriter, guitarist and vocalist for the group was Lou Reed, who launched his solo career in 1972 and had a hit the following year with Walk on the Wild Side. But is was not until 1989 that Reed achieved another major success with his album New York, which was voted by Rolling Stone Magazine as the 19th best of the 1980s. In 2008, he made the list of Rolling Stones' 500 Greatest of Albums of All time with two albums, Transformer and Berlin.